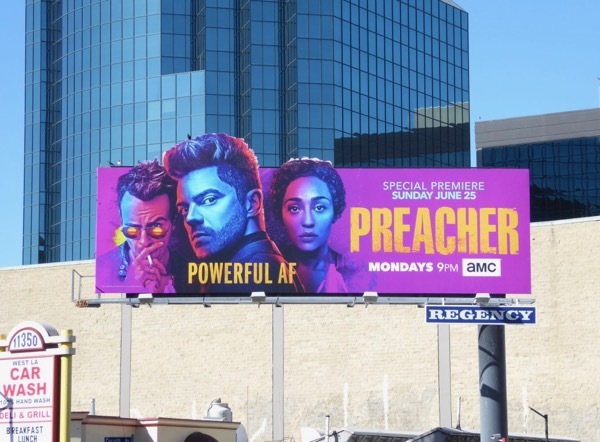 These vibrant billboards for the second season of Preacher are sure bringing a jolt of colour to the city skyline this month, with the special extension cut-out helping the ad stand out even more. 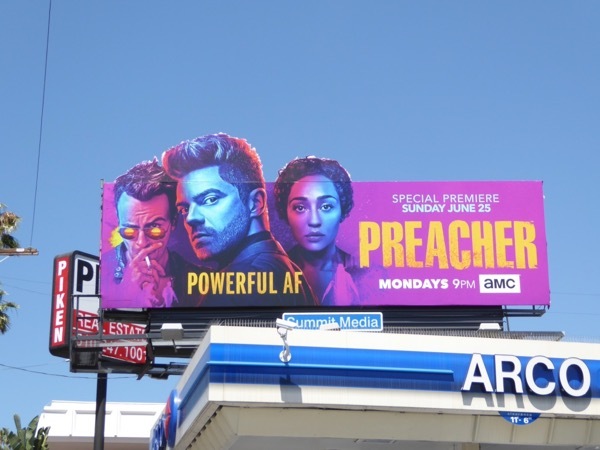 Based on the comic book of the same name by Garth Ennis and Steve Dillon, Dominic Cooper reprises his role as Preacher 'Jesse Custer' accidentally possessed by the spawn of an angel and demon called 'Genesis' which grants him supernatural, god-like powers. 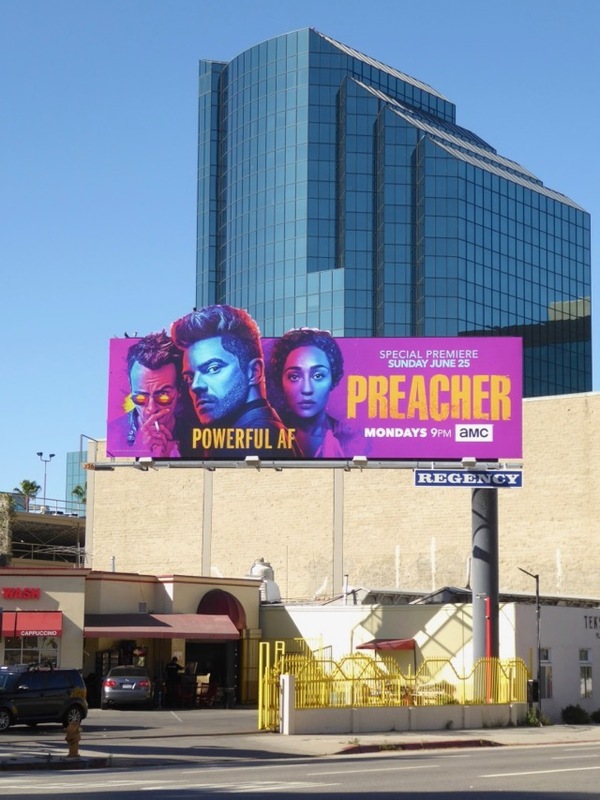 After the explosive events of the first season, with the small Texas town of Annville wiped from the face of the Earth, he's setting off to find God with the help of his Irish best friend and vampire 'Cassidy' (Joseph Gilgun) and his fiery ex 'Tulip' (Ruth Negga). 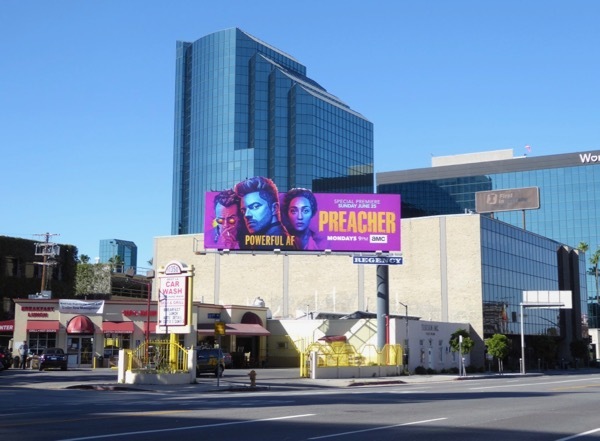 This eye-catching special extension cut-out sophomore season billboard was first spied along Olympic Boulevard on May 20 and the standard landscape version was snapped along La Cienega Boulevard on May 23, 2017. 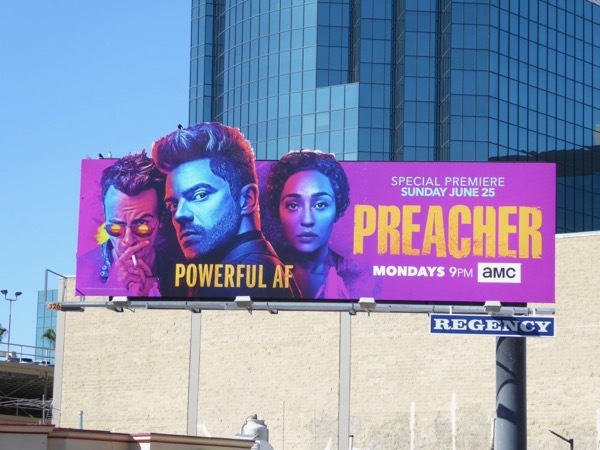 Meanwhile fans of the AMC series can also check out these Preacher season one billboards from last May. 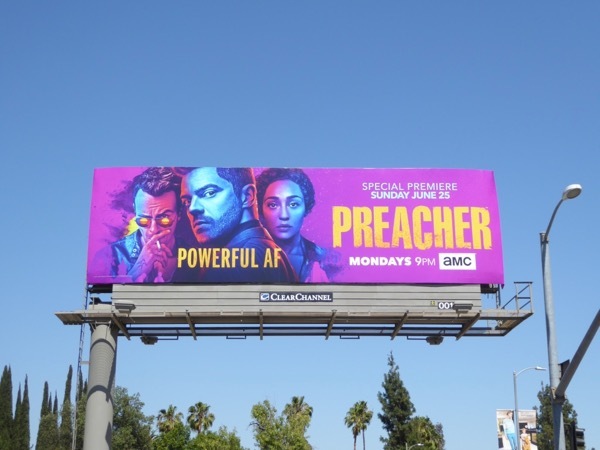 Just how much trouble can a possessed small-town Preacher and his pals have on a road trip around America? Stupid question really. 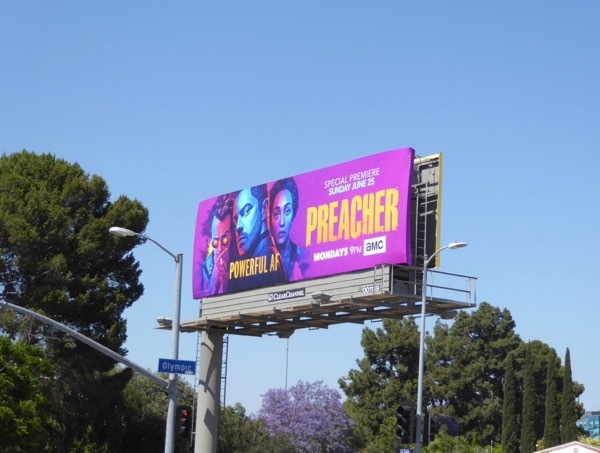 UPDATED: Here's also another example of the special extension billboard snapped along Sunset Boulevard and Fairfax Avenue on June 12, 2017.